2 NIGHT BOOKINGS ACCEPTED DURING PEAK SEASON!! Pearl Beach Hideaway has amazing views of the beach and ocean pool, plus direct access to the beach. This apartment is ideal for a romantic couples getaway, or a small family.All luxury linen supplied. This beautiful apartment consists of combined kitchen/dining and lounge area opening to the balcony with stunning views over the beach. The modern kitchen contains dishwasher and microwave. Main bedroom has a queen bed complete with ensuite containg bathtub. The second bedroom contains two single beds. Main bathroom with shower and wc. Laundry with washing machine and dryer. 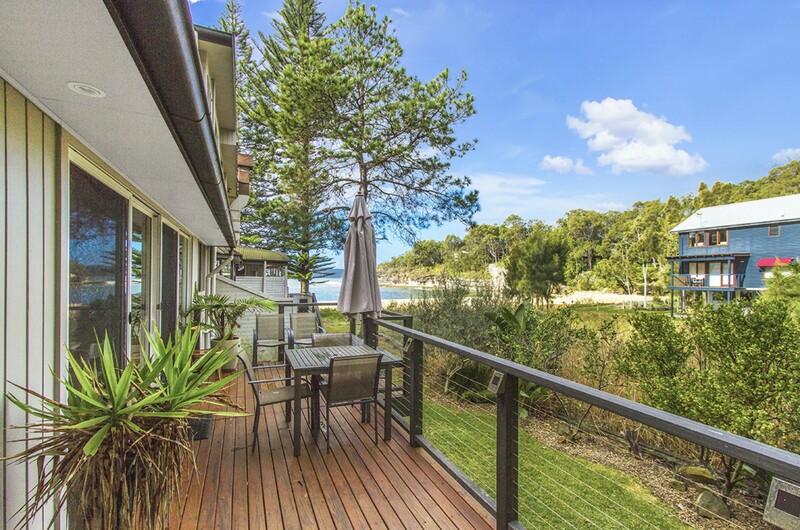 Pearl Beach is one of the Central Coasts most beautiful coastal suburbs. Set amongst the lush bushlands of Bouddi and Brisbane Water National Parks. Located only 90 minutes from Sydney. Enjoy the beach, ocean bath, cafe and restaurant or one of the many surrounding bushwalks.